Friday sees the start of the 2018 Rugby Sevens World Cup in San Francisco. It’s the seventh time the men’s tournament has been held, and the third time for the women’s. 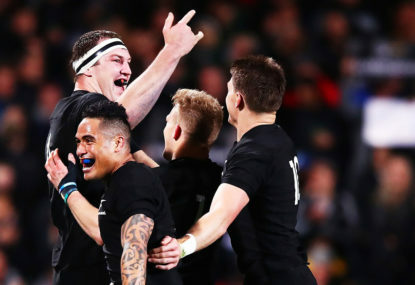 It’s still an open question whether the All Blacks are showing chinks in their armour after defeats to three different teams over the last two seasons. The upcoming Bledisloe match, and the end of year Tests will be played under different laws. Can Test rugby stars become Olympic sevens players? 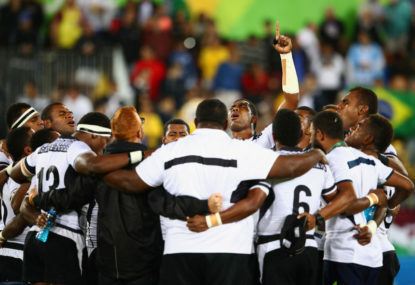 The first Olympic rugby sevens is now over, with gold medals going to Australia and Fiji. The tournament was highly entertaining, producing upsets, drama, and a highly popular winner in the men’s event. Leicester and England centre Manu Tuilagi was involved in an altercation with a taxi driver and a police officer a few weeks ago. A report on the RFU website says the player admitted to three charges of assault, one of criminal damage, and has been fined as a result. When Sam Burgess signed for Bath, many in rugby union were excited to see him switch codes, but there was a widespread feeling that he would take time to settle. 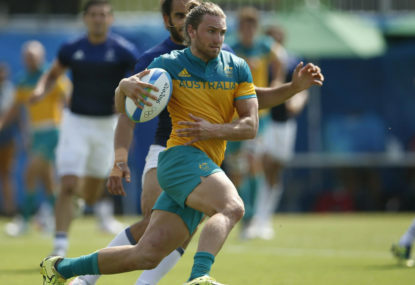 Since it was confirmed that rugby sevens would be played at the 2016 Olympics, there’s been a lot of discussion about who should represent Australia in Rio. 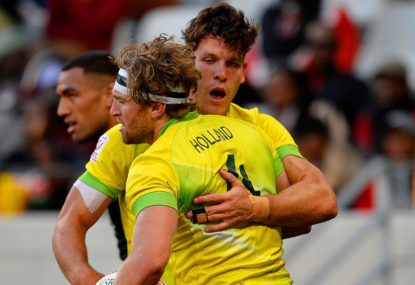 Folau, Beale, O'Connor - would fifteens stars sink or swim in sevens rugby? Rugby sevens at the Rio Olympics has been a topic for discussion lately. The Aviva Premiership in England was the first professional league to see the introduction of more extensive review powers for the TMO. Is rugby taking concussion seriously? There has been a lot to talk about following the conclusion of the Lions series, so much so that one aspect of the last Test is danger of being overlooked. With news reports freely available on the web, and the IRB rankings updated on a weekly basis, there are few Test results around the world which escape our attention. It’s easy to forget that this wasn’t always so. The Aviva Premiership season kicked off on Saturday with a double-header at Twickenham: Wasps vs Harlequins and Saracens vs London Irish. These matches were played with the new law tweaks introduced by the IRB and I watched both. Which sports had a good Olympics? There were 26 sports on show at the London Olympics, fewer than Beijing after baseball and softball were dropped from the schedule. Gareth Delve took the field for Wales against the Brumbies on Tuesday after being called up as a replacement for Toby Faletau. He might have been next in mind for the coaches anyway, but it certainly did him no harm that he was already available in Australia. Will poor refereeing ruin the upcoming rugby tours? Before the last World Cup, we all hoped that no big game would be decided by a controversial referee’s call. The very fact this was said so many times was an indication that we suspected it would happen. Most of the discussion on The Roar has been about the upcoming Test series against Wales. For neutral supporters, it’s probably the pick of the match-ups between the northern and southern hemispheres over the next few weeks. 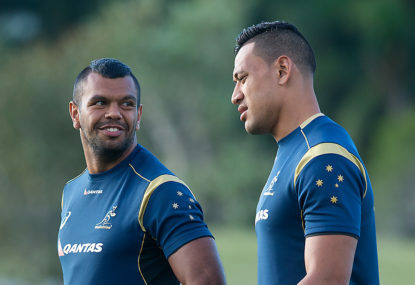 The debate over Wallaby selections for the upcoming Tests is well under way here on The Roar. There are understandably fewer comments about the team arriving for a three match series, however. The IRB has tweaked the rules again, and five changes will be trialled globally next season. In theory, this means the North will be using them before the South. Will health risks in NFL and NHL change the US/Oz sporting landscape? More than 100 former NFL players filed a lawsuit this week, alleging the league did not protect players from brain injuries with links to concussions sustained playing the sport. 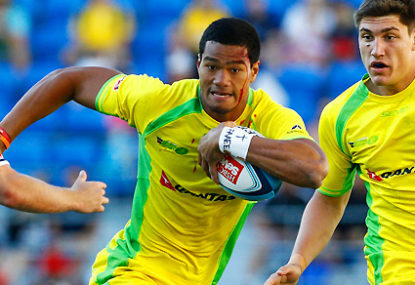 So, I suppose the idea of Israel Folau joining the Olympic sevens squad is no longer a pressing concern. No problem, I didn’t take it as a slight. I think you’re right that Sevens hasn’t really found the right way to connect with the broader rugby public. When we watch a 15-a-side game, we can all have opinions about why one team is winning. We can see one side is better at the breakdown/tackling/handling etc. It’s harder in sevens because it’s not always as clear what teams and players are trying to do on the field. I do watch sevens a fair but but I’ll confess I can’t understand what Australia are trying to be at the moment. They aren’t a power team, and don’t have the high skill of the Fijians, or top speed pace. They used to be known for high workrate but that’s not what’s happening on the pitch. I write some occasional updates on the HSBC Sevens series on a rugby forum with a mainly Northern audience. People tell me they like to read it to catch up with what is going on, but it gets very little interaction, because people don’t really know enough to comment. I expected there would be more coverage in Ireland of their successful promotion to the Sevens series but it’s under the radar at the moment. It might not get traction there until the team starts knocking off some top sides, and winning some titles. I still can’t find out. The last three tournaments have been in Fiji, but, in 2015, Fiji didn’t play, as they had already qualified. Then again, New Zealand also didn’t play for the same reason but the 2015 tournament was held in New Zealand. The Oceania website doesn’t mention a venue. Perhaps the choice will be made after the Sevens series is over, to avoid giving home advantage to one of the main contenders. Yes, and I see Ralph makes the same point in reply. I’ll confess, I didn’t know that. It sounds more like the way the IRFU operates with top Irish players. Some English players do have to be rested from Premiership matches because there is an agreement on the number of matches they can play each season (which games, is at the discretion of the club, however). I should have made the more narrow point that it is frustrating for club supporters to have key fixtures while their top players are actually on the pitch for England, not sitting in the stands resting. Leicester have played four Premiership matches while the Six Nations has been on, and have lost three. They now sit third from bottom. Relegation is still unlikely but not impossible. There’s no doubt that team would be doing better if Manu Tuilagi, Ben Youngs, Ellis Genge, Dan Cole, Jonny May and George Ford had played for them in those matches instead of being away on England duty. Every season, some clubs gets derailed by England call-ups, and this time it’s most noticeable with Leicester. Supporters put up with this largely because we have no choice. I can’t point to a club being relegated through missing England players but it’s easy to see how some have missed out on European qualification by losing matches they might otherwise have won. As a supporter of the club game, my first reaction to hearing that World Rugby wants a five week international window in November is horror, because it would likely cover two weekends currently used for Premiership matches or Heineken Cup. Even the most one-eyed club supporter recognizes the importance of the international game, and knows some of the club owners are lacking all the qualities we might want in decent human beings. It just shouldn’t be that hard, though, to think about consulting people who are going to directly affected by changes you propose. As you say, Geoff, the unions can’t just expect the clubs to “get on with it” because it just looks like all downside to them. If some quid pro quos have to be agreed to get everything to hang together, then those are discussions which should take place before any announcements. Public posturing, and threats of lawsuits are not going to be good for anyone in the game. You can’t say no part of the English Premiership constitutes the grassroots just because no-one is elected. To be honest, I don’t really care who World Rugby wants to choose as a representative of the English domestic game. It would have been fine to ask the RFU to make that decision, and have them ensure they were consulted. However, someone in the domestic game needed to be consulted. I can’t see Super Rugby supporters putting up with a situation where they didn’t see their best players turning out for key matches because of international commitments. There was a lot of dissatisfaction when Graham Henry did that in 2007. It shouldn’t be too hard to understand why English and French club supporters aren’t thrilled that it happens now, and would be unhappy to hear that World Rugby had plans for it to happen more. We’d be delighted if we could break up our season into discrete chunks. SANZAAR supporters know all about that, since it is the demand their unions made, and got, in San Francisco. As it stands, though, there is no chance at all that the Six Nations would consider moving their tournament, and the November is the finale to SANZAAR season. If you want to have a discussion about suspending the northern domestic league calendar through the international schedule, then let’s have it openly, not by default. I agree. However, season ticket holders at English clubs like Leicester, Exeter, Gloucester & Saints would certainly regard themselves as grassroots supporters. It doesn’t matter which teams play five matches in any given year. You still need to expand the window to five from the current three. Why would you make that proposal without at least sounding out representatives from the domestic leagues? Define grassroots however you like. The sport needs to create loyalties outside (not instead of) those to the national team. Most play three games, not four. The international window is currently only three weeks. Wales usually schedule a game outside the window, to keep paying down the stadium loan. Consequently, they take the field without any of their England-based players. England sometimes schedule a fourth match, and they pay the Premiership clubs for access to players outside the window. Not every team will play five matches, but some teams will. That means expanding the international window in November to five weeks from the current three. That has enormous repercussions for the domestic calendar in the North, and isn’t something you propose unilaterally only months after agreeing a new structure. I agree that we are making crucial decisions about the future of the game. That’s why it beggars belief that World Rugby would formulate a plan without considering how the clubs can fit in with it. What was the point of the San Francisco accord? On the basis of that agreement, the RFU went to Premiership clubs, and thrashed out a new arrangement. Our season got longer – which no-one in England or France really wanted – and English international players were given more breaks. Part of that arrangement involved the summer touring schedule, specifically reducing the load in a World Cup season. When early word of this new plan appeared last year, the RFU was reassured that the San Francisco accord remained in place but we now know that both do not fit together. I am no champion of French or English club owners, but I would also be upset if I had negotiated in good faith, only to discover an entirely new plan being tabled months later, with no consultation. It’s a bad strategy, because you don’t want the clubs taking to the courts to challenge who is in charge of the game. There is no guarantee the unions will win, and they only have to lose one case, in one jurisdiction, to undermine their authority. I can easily see a court in Europe, or Japan, for that matter, challenging the legal status of mandatory player release in international windows. It is deeply unwise to provoke any party to pull on a thread like that. Any discussion of the international calendar has to consider what place is left for club competitions. The players appear to believe there is a possibility of being asked to play five consecutive Tests around November. That seems unreasonable from the perspective of demands on them, as well as the disruption to the domestic season. The club and regional game cannot be an afterthought to the international game. Loyalty to the sport is often bottom-up, rather than top down, and is hard to build up, but easily lost. The Welsh experience shows what happens when you disrupt local loyalties without providing a satisfactory replacement. The Western Force is another example closer to home for many readers of The Roar. Rugby needs strong local loyalties precisely because the sport has ambitions to grow internationally. 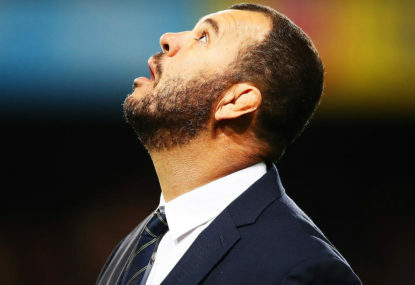 The game in Australia suffers when the Wallabies are on a losing streak, however, there isn’t enough room for every Test team to succeed even now, and we want more teams to be able to mount stronger challenges. Rugby needs to be robust enough to maintain interest at the grassroots even when the national side is performing badly. I see no evidence at all that the Six Nations unions are pushing the concept. Its SANZAAR teams who have argued most strongly for making the Test match calendar a more commercial proposition, and the current discussions are a result of that. Nick, that’s exactly the point which several posters have made to you. You are right that Northern sides in Britain and Ireland often do like to employ southern hemisphere coaches but the penny is starting to drop that a lot of them don’t know how to run northern sides. I don’t think that makes them bad coaches, it’s just that most aren’t familiar with the strange jigsaw puzzle you need to solve to have success in the north, and they often don’t get the time to work it out. In England, the top 5 teams last year all had Northern hemisphere coaches. So far this year, 6 of the top 7 teams have coaches from the North. The only exception is Ackermann at Gloucester. Meanwhile, the 8th, 9th and 10th placed teams are coached by New Zealanders, and the 11th by a South African. In the Top 14, the table shows the top 5 sides are all coached by Northerners. Stade Francais in sixth place is the best-placed southerner. Vern Cotter’s Montpellier are 9th. Meanwhile, no Southern hemisphere coach has led a team to the European championship since Leinster under Joe Schmidt seven years ago. In this year’s quarter finals, only one of the eight sides – Glasgow under Dave Rennie – is coached by a southerner. Oh, and for good measure, a look at the current HSBC sevens leaderboard shows six of the top eight sides have northern hemisphere coaches. Including current top placed side New Zealand. Big concern in New Zealand right now appears to be the sharp drop in participation at schools level, so the style of play doesn’t seem to be helping there. Think you mean the second and third tries. You aren’t the only one to think Slade was in front of the kicker. A view from the other side of the pitch looks offside, while the view the TMO had doesn’t. For me, it depends too much on camera angles to be sure but I would say that. I don’t think there’s any doubt about Daly’s try. If you are juggling the ball, then you are considered to be in possession, so Stockdale was fair game to be tackled by Nowell. I even go back to the Saxons tour in 2016. All those players should have been prospects to challenge for a place in the main squad, and the best performers given a chance that Autumn, when we had fixtures against Fiji and Argentina. Of that squad, only Ewels and Hepburn (through injury elsewhere) featured this year. Injury kept Robson out, and you can’t help wondering why, if Jones wanted to try him, why he failed to do so earlier. He didn’t even go to Argentina. Who knows whether any other Saxons players would have made an impact if selected, but it might have been interesting to see. After all the squad included the likes of Cipriani, Armand, Rokodoguni, Kvesic, Attwood, Hill, Devoto, Lewington and Wade, who generally showed up well for their clubs. I agree the All Blacks have a superiors scrum to England right now but I think you are putting too much of the blame on Jones. After all, it was the scrum which was part of our undoing in the 2015 World Cup. Whether it was selection or conditioning, it was evident our scrum had lost its mojo in the run-up to the cup, even before Australians got in the ear of officials about the technique of Marler and Cole. Although Jones said he would revive English strengths, I didn’t put a lot of faith in his comment, since he had a long history of saying one thing and doing another in his time with Japan. I still think he is satisfied with an adequate scrum, rather than a dominant one, so you are right about his priorities. However, in his first two years, the scrum was not the weakness it had been at the World Cup. This was clearest on the 2016 Australian tour, where the Wallaby scrum couldn’t get the same edge over England as they managed a year before. You can perhaps understand why Jones might have become complacent, then, especially since the breakdown seemed a more urgent issue. If anything, it looks like the England scrum has just slipped back to the level it was when Jones started, not that he has made things worse. The English system does still produce props, it’s that they keep getting injured. Obano, Genge and Mullan & Vunipola are all unavailable but there’s also been a laundry list of injuries over the last few years for players like Henry Thomas, Nathan Catt, Nick Auterac, Will Collier, Max Lahiff, and it was a blow at junior level when Seb Adeniran-Olule was killed in a car accident. Marler has ended his Test career prematurely but it’s easy to forget that Corbisiero is only 30 this year and already retired completely from the game. Still, it’s not as if Jones is bucking conventional wisdom in England about our best props. There’s no prop equivalent of Don Armand. When he’s gone deeper in the ranks, he’s gone for players like Ben Moon and Alex Hepburn, who were both age grade England selections. It’s not even in Jones’ brief to bring along young players, as that’s an area Dean Ryan appears to be overseeing. Dan Cole is an interesting omission but he isn’t the player he was in the set piece or loose. He was once one of our best turnover specialists but that seems to have gone from his game, even at club level. 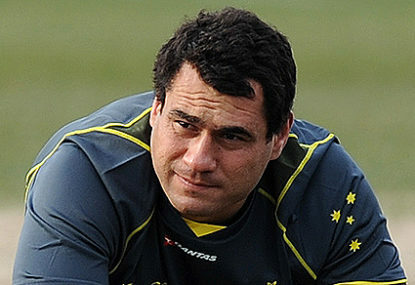 Kyle Sinckler doesn’t strike me as having good set piece skills but Harry Williams does, and he could yet surpass both. Paul Hill used to be Jones’ second choice tighthead until Saints went on a nightmare run. He could yet come back into the reckoning. It’s also worth bearing in mind that the Lions didn’t have any real scrum advantage over New Zealand, even with Furlong at tighthead and AWJ in the engine room. Arguably, that was down to Mako not being a technically strong scrummager but Gatland still stuck with him. It’s hard to imagine Jones will do anything else when the Saracens man is fit, especially since he can no longer call on Marler. Even in that position, though, England have another potential option with Val Rapava Ruskin, who has shown up well for Gloucester. England’s best chance was a few minutes after we had taken the lead. Spreading the ball left, Daley had May outside him, but chose to cut back first. When the ball finally made it to May, the opportunity had been closed down. What on earth gave you the idea anyone on the Guardian thinks England are the best in the world? The game is outside the international window. The RFU has an agreement with English clubs to pay them for access to players outside the windows (for matches and training). In turn, the Premiership clubs have a binding agreement not to release players outside the windows (otherwise, the RFU would wonder why they are paying for access which others can get for free). Northampton and Bath both received fines when they broke that agreement and released North and Faletau to Wales. Other unions could negotiate a similar deal with the Premiership as the RFU has, but it’s probably not worth it. It’s usually only one or two players, whereas it’s the entire broader squad for the RFU. Samoan player Gordon Langkilde is apparently still in police custody following his post-match assault of Welsh players on Saturday. “The 22-year-old is accused of assaulting two Welsh players after the clash between the sides at AT&T Park on Saturday afternoon erupted into violence at the final whistle. Wales won the game 24-19 thanks to a golden point try scored by Tom Williams, but as the two teams departed the field and went into the tunnel, things are alleged to have turned sour. “San Francisco Police confirmed Langkilde is accused of assaulting two Wales players, a 26-year-old who suffered facial injuries and a 21-year-old who has broken facial bones. The Welsh players want to prosecute. They don’t believe there was anything in the match to warrant any hostility, let alone the violence which erupted. With the Mafi arrest and the other Rebel’s assaults in the news too, World Rugby will also need to act. There are no South Africans or Fijians in the side, although the last three players on the list were all born in Fiji. Last week, you’d have got long odds on no-one from the top two sides in Sevens making the list. Harry Glover was also named Breakthrough Player of the tournament. He’s the youngest member of the England squad, and his ability to regain restarts was a real asset. Jordan Conroy of Ireland grabbed a lot or headlines, and outshone more high profile speed merchants like Baker, Isles and Norton. He would have been a contender for Breakthrough Player but his defence probably needs more work. Happy to see Tom Mitchell named in the Dream Team. Ben Ryan always says he would walk into any Sevens side in the world, and he showed in San Francisco that he’s one of the best tacticians in the code. The way he marshalled his team was reminiscent of Waisale Serevi at his best. Fiji and South Africa looked so good in their first two matches, it seemed they’d have too much for everyone. 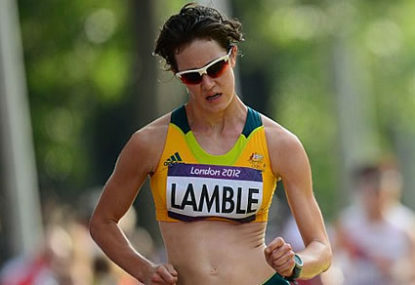 New Zealand took a little while to get into their stride but, when they did, looked formidable. Joe Ravouvou had a great tournament.